Free Shipping Included! 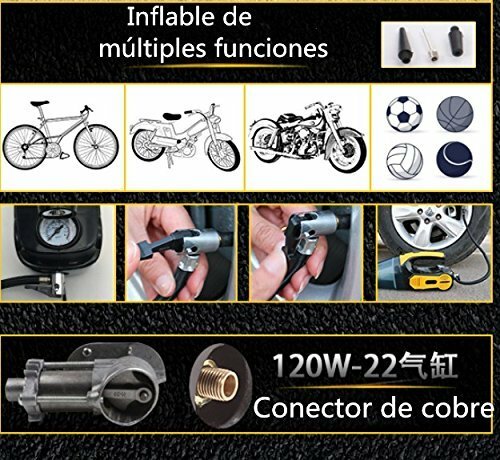 4-in-1 Car Vacuum Cleaner,Tire Inflator Air Compressor, Tire Pressure Gauge,LED light Portable Wet and Dry 12V 120W Handheld Long-Nose For Car with 18.85 inch Power Cord With HEPA (vacuum cleaner) by Pandamen NLH at Lazaranda Dallas. MPN: k02. Hurry! Limited time offer. Offer valid only while supplies last. Technical parameters: 1. The length of the power cable: 5 meters. 2. Inspiratory flow: 12 mmHg or more. 3. input power: DC 12V. 4, power: 120W. 1. The length of the power cable: 5 meters. 2. Inspiratory flow: 12 mmHg or more. 3. input power: DC 12V. 1. Insert the DC12V power plug into the car's cigarette lighter. 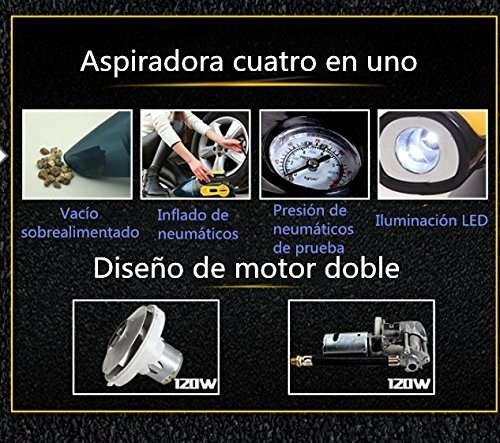 2, when the power switch on the handle is used in the ON position of the vacuum cleaner, when the ignition switch is not used to the OFF position. 3, where a wider space using a wide mouth, narrow spaces where the use of a straight nozzle, under the hose of the dust suction hose seat need to increase the length. 4, keep the bag clean and clean. 5, use the suction inlet should be flat on the ground in order to achieve better results. 6, means that the power switch in front of the front housing key, press down the front housing can be removed, the used must open far from the eyes and ears sure that when the front frame clean the filter, with the order to extend the life of the filter cleaning. 7, when the absorbent and the product is wet, water barrier should be observed that the height of the front cover (capacity), the amount of intake should not exceed the height of water resistance, (cap pour water must be turned off before open the liquid or wet and then replace it, before reusing) Accessories: Suggestions for tips. 3, when using the filter must be installed. 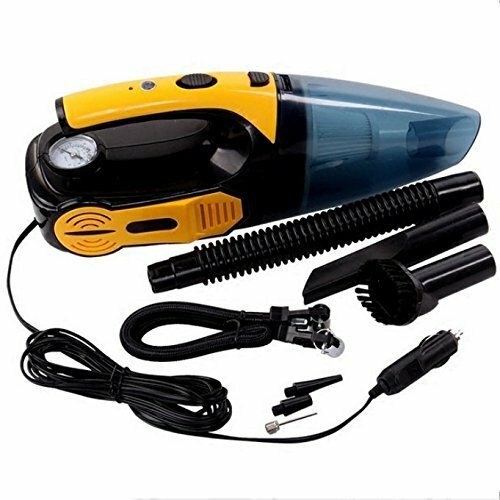 ღ Multiple function 4 in 1: Powerful Wet / Dry car vacuum cleaner 12V 100W. 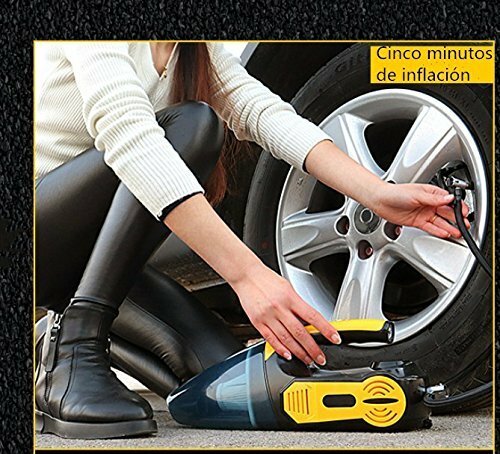 The tire inflator helps you inflate tires anytime anywhere. The tire pressure indicator prevents overinflation. The LED light helps to dispel the darkness. ღ EQUIPMENT: The front cover is transparent and removable, equipped with a special filter to facilitate the regular cleaning of the transparent water storage tank, which can store the adsorbed water, equipped with a special adsorption flat head, which can adsorb corner powder and it has a strong suction. ღ CONVENIENT USE: 5.0M (197 inches) of power cord helps clean up any hard-to-reach areas. 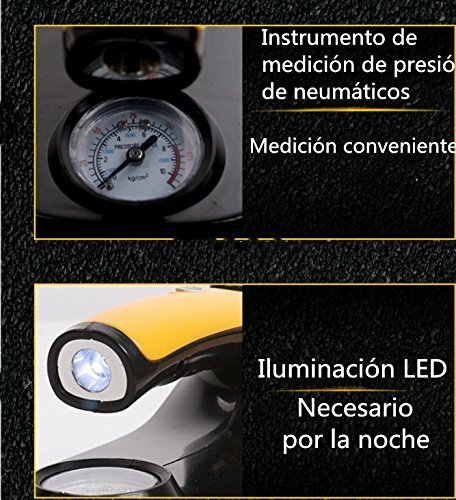 Have a LED light, more convenient to use when it is under light. Easy to store in the garage or in the back of your car. Easy to operate, just turn the switch on / off. 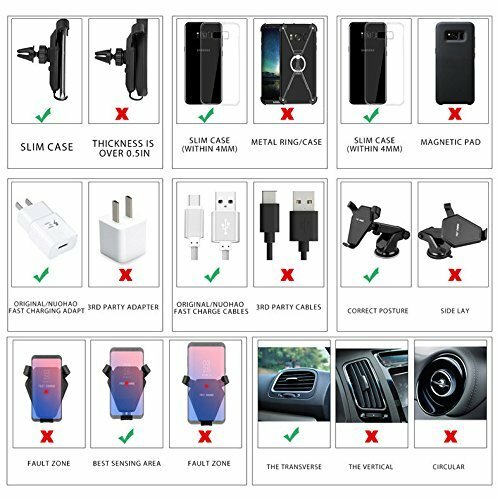 ღ REMOVABLE & WASHABLE HEPA FILTER: We support a bonus HEPA filter, which is detachable and easy to be cleaned.3 accessories (Long Mouth, Brush, Soft Long Tube), you can clean the trunk and clean every corner in your car. 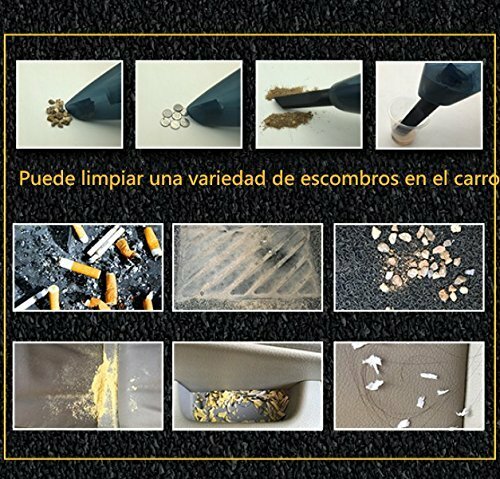 It will be more powerful if you start the car first while using the vacuum and the filter should be cleaned up every time of use. ღ Safe and efficient: The filter can be removed, rinsed with water, the detergent can be washed gently with a toothbrush, so that the hand filter can be cleaned and reused, the HEPA filter can guarantee permeability and reuse. 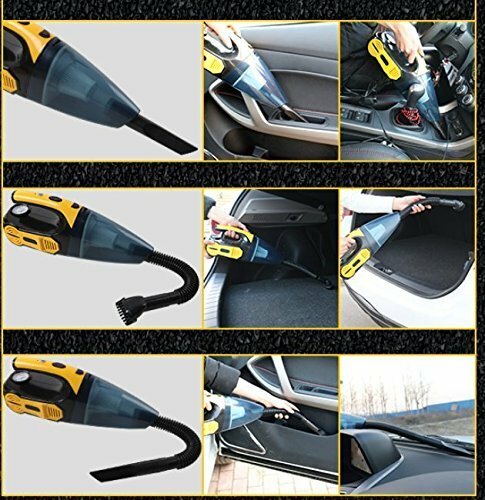 Filter can help the automobile vacuum to maintain a strong shock and an economical way. Fuses help prevent power damage. If you have any questions about this product by Pandamen NLH, contact us by completing and submitting the form below. If you are looking for a specif part number, please include it with your message.